We offer free mounting for heat shrink tool holders purchased with insert tooling or diamond tooling! 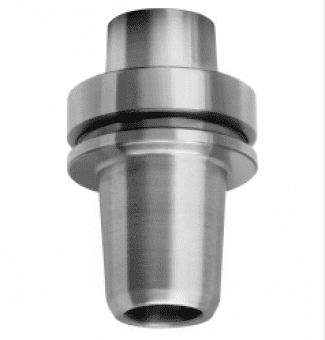 High-precision HSK tool adaptor with thermal shrinking technology for shank tolerance as per norm EN 847-2. Finely balanced up to 30 000 R.P.M. Short and slim design. 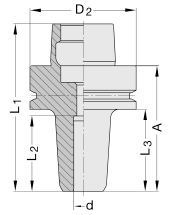 For high precision clamping of tool shanks made of solid carbide or steel. Provides extremely high clamping power and accuracy up to 0.003 mm (0.0001”) on tool shanks made of solid T.C. or steel. Improved surface quality through exact concentricity. Thanks to this continuous contact of the cutting edges. Therefore less abrasive wear and longer durability. The heat shrink tool holder can be used for either right-hand or left-hand rotation tools. HSK 63F Hydro Grip Type G2 tool holders are extremely easy to use. No special setup equipment is required. The compact, slender design is highly precise and comes with a safety feature that prevents the tool from slipping out of the tool holder if it's not pressurized. HSK 63F hydro chucks are available in metric (12, 16, 20 and 25mm) and imperial sizes (3/8", 1/2", 3/4" and 1"). For pricing, please email us! Tempered and ground tool body. Thoroughly balanced for R.P.M. max. 25 000. 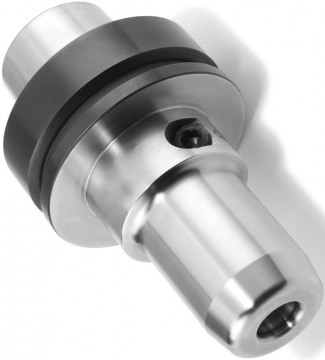 For high-precision clamping of parallel shanks 25 mm on CNC machines for both right-hand or left-hand rotation tools. Maximum concentricity for improved surface finish and increased tool life. Higher clamping precision because the parallel tool shanks are gripped absolutely concentrically over their full length. Higher clamping power resulting in increased frictional force which allows the transmission of high torques.